With hundreds of dreamy Thai islands straddling along the Gulf of Thailand, visiting the wrong islands can certainly happen. For instance, you wouldn’t want to turn up to a party island if you were looking for a peaceful, tranquil getaway. On the contrary, you wouldn’t want to radiate your party spirit on an island with a group of yoga bunnies channeling their spirituality. 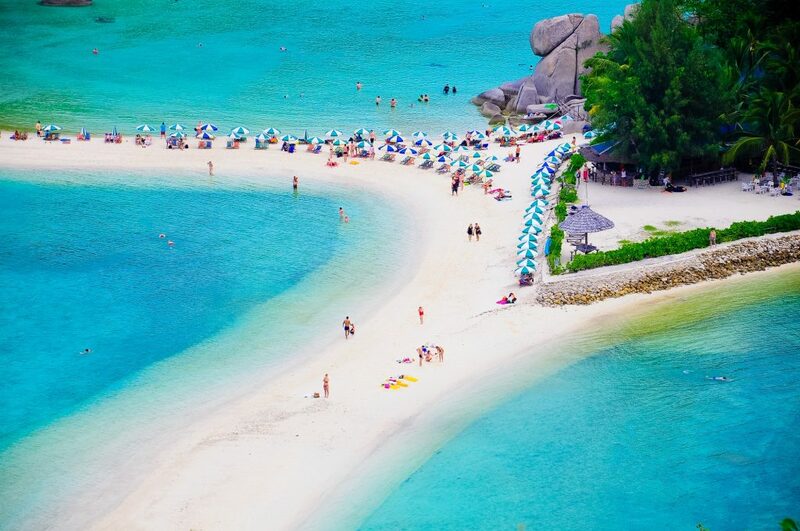 Surely, you may be wondering how to choose the right Thai island for your next vacation. So without further ado, here’s our guide on the best Thai islands to visit on the Gulf of Thailand. Koh Samui. One of the original Thai islands. What once drew backpackers and ravers for its cheap huts and full-moon parties has smartened up and matured. Koh Samui now hosts some of the best luxury beach resorts and first-class spas anywhere in the world. Similarly to other wonderful islands in the Gulf of Thailand, Koh Samui is blessed with crystal-clear water, stunning coral reefs, thriving marine life, and fresh green forests. Above all, Koh Samui is the second largest island in Thailand, and a very well-rounded one at that. 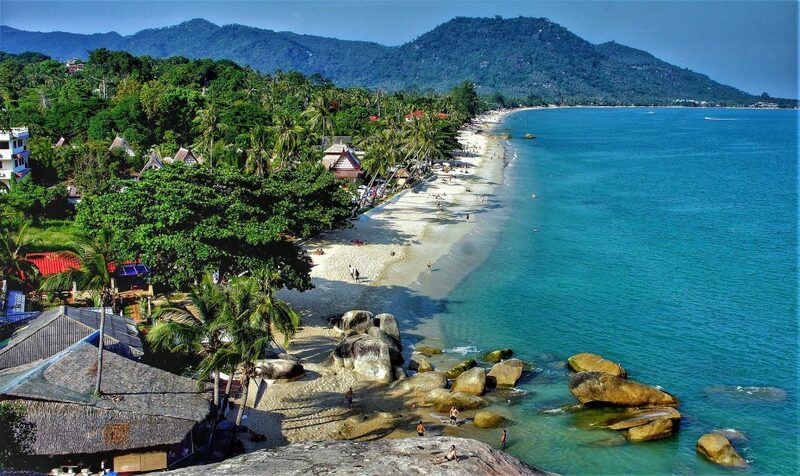 If your ideal holiday involves three-day beach parties, Koh Phangan is indeed the Thai island for you. Famed for its full moon parties especially at Haad Rin, this island caters to die hard ravers and dreadlocked travelers. There’s just guaranteed action every night of the week at the island’s beach and cocktail bars. Due to the peak season, the island can host up to 20,000 raving visitors dancing away on under the bright full moon. However, most visitors often miss the abundance of natural beauty elsewhere on the island. Secluded verdant jungle trails feels like a different world from all the full moon madness. With charming waterfalls scattered across the island, those who enjoy the quietude will love Koh Phangan as much as the party animals. The coast of Koh Tao, or “Turtle Island” is strewn with little sandy coves, quaint lantern-lit restaurants, and dive shops. If you’d like to discover what’s under the Gulf’s crystaline waters, this is surely the place for you. Koh Tao is one of the world’s premier places to learn, and also one of the cheapest. Shallow, warm waters and bountiful marine life indeed make it ideal for first-timers. Even if diving is not your thing, there’s still plenty to keep you smiling. It’s the kind of place you’ll come for a couple of days and never want to leave. Why? 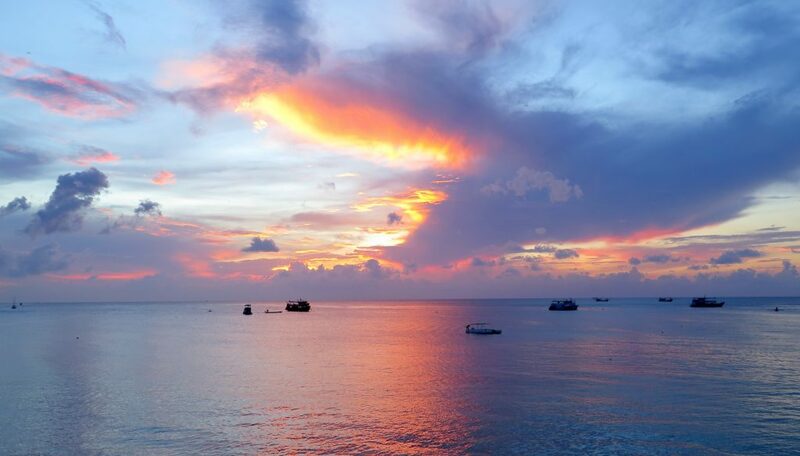 With its excellent nightlife, including the odd full-moon party, Koh Tao has an irresistible charm that is a bit more chilled-out than the neighbouring Koh Pha Ngan. Located near the border with Cambodia, Ko Chang is Thailand’s third largest island. More shy and unassuming than the first three, Koh Chang is Thailand in a nutshell. Several moonlit waterfalls, scenic mountains, thriving coral reefs, rainforests and long white sandy beaches certainly make it quite versatile, too. If you need an introduction to Koh Chang, visit White Sand Beach, indeed the most popular and longest beaches on the island. For a more bohemian beach-bar vibe, head to the romantic Had Sai Noi Beach. 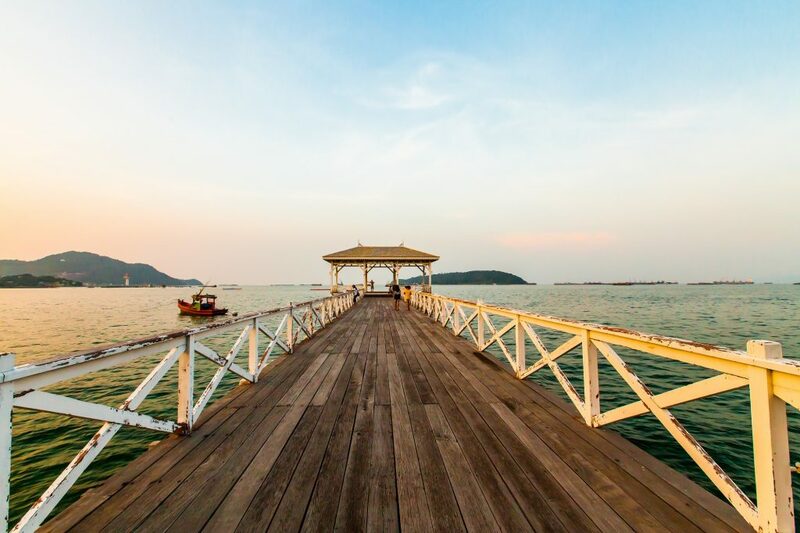 Lastly, if you want to experience a more local vibe, stop by at Salakkok Bay to catch a rare glimpse of a traditional fishing village unlike any other in Thailand. Also, Koh Chang getting popular with those who want to hop over to Siem Reap after touring over Thailand as well! Koh Samet. A Bangkokian’s favorite escape from the chaos of town. 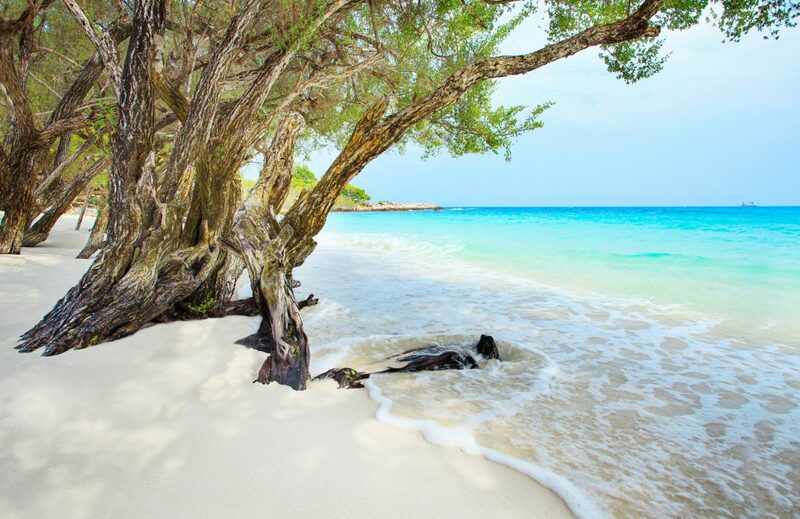 Only a three-hour drive from Bangkok and about 45 minutes by ferry from the mainland, Koh Samet is usually packed with visitors on the weekends and long holidays. An endless stretch of turquoise blue sea, concave bays with fine white sand, and thriving nightlife make it easy to see why. If you want to soak in more relaxing, tranquil vibes, head to Ao Noina, Ao Phutsa, Ao Nuan, and Ao Wai. These places are far more serene, and they feature cozy accommodations and stunning sunset views. Hat Sai Kaeo and Ao Hin Khok are popular beaches with lots of activities to do such as sunbathing, swimming, windsurfing, and enjoying the nightlife. Therefore, Koh Samet always has a place for everyone! A quieter and more peaceful alternative to Koh Samet, it’s a hit especially with Bangkokians who head here for weekends, and even day trips. Accessible from a two-hour boat ride from the city, it’s one of the Bangkok’s closest beach destinations. Just a hop away from Koh Tao lies Koh Nang Yuan, one of the more quiet Thai Islands. The beachfront here is popular among day-trippers, and it also aims to be as sustainable as possible, and so no outside plastic is allowed. Here, locals use glass or other easily recycled packaging wherever possible. Another one of the quiet islands in Thailand, Koh Kood is the Thai island where you come to do nothing but relax. Those looking for a pulsating nightlife, hang your head and turn around. This is surely not the place for you, as hammock living is a way of life on this palm-lined island. Additionally, snorkeling and kayaking are your alternative activities for a leisurely in this lovely Thai island.